I found this website by a stroke of luck. I was determined to find a steampunk laboratory to model an ideal lab I want to fabricate. Thus, turning to the Aetherweb, I searched for a steampunk Laboratory. I was lucky enough to find this gem. This is the Steampunk Laboratory, a compendeum of Steampunk Projects across the Aetherweb. Found at http://www.steampunklab.com this is probably one of the most useful websites for a steamtinkerer I have yet to lay my eyes on. I, for the first time ever, require people who read of this to go and give them, if nothing else, a hit on their website. I think it is the best steampunk project compendeum. "A mathematician has found a way to reach chaos and copy the skills of the ages - dreaming that everyone should have the gift of magic. But the discovery of Mathema forces a secret group of sorcerers into the open, desperate to protect their ancient gift of power by whatever means necessary..."
This webcomic is also in a competition found at http://zudacomics.com/node/756. Please go support it, and read it. If nothing else read it, for it is very well written and very beautifully done. This link was suggested to me by a good friend of mine. The official title is "Madame Talbot's Victorian and Macabre Lowbrow." Essentially it's an ebay for all things vintage and macabre. It has a wealth of old artifacts, all of which are of the "Noir" nature. It leads the user to many different categories of things, mainly little nick-knacks she has for sale. I was quite impressed with the diversity of the site.  Needless to say I must tell anyone who has any money to spare, and a desire to better appreciate the Victoriana and the Macabre, to visit this site. After a long period of time, I am back online. I have been dealing with various problems in my life, as well as moving to a University, thus, I had to take a short break. But I am now back. In addition, I have found this wonderful website: The Miskatonic Archive. It is full of all sorts of steampunk and Lovecraftian macabre artwork. It truly is a must see for any self-professed fan of Steampunk and the Macabre. The Beinart Art gallery is a surrealist art gallery. Although at it's routes surrealist art isn't exactly macabre, many, if not most of these pieces definitely cross that border. I found, when I browsed their website for awhile, that most of the artwork there was simply exquisite. Featuring the works of such artists as Saturno Butto, Art Golacki, and many many more surrealists, it's not exactly your average art gallery. Complete with a shop, I believe this may be one of the best finds I have ever made on the internet. Alex CF, a well known artist in the Steampunk world and a master of macabre artwork, is attempting to sell a piece of his. The piece, the top post on his blog as of July 24th 2008, has been sold to two buyers, and yet, they haven't claimed it. So, he's at it again. Called Death's Coffer, the piece is a recreation of what Alex finds the briefcase of Death would look like. Keep in mind, that paraphrase is in my words, not his, and he has a much more detailed story about the box's history. This piece aside, all of Alex's works, it appears, span both the Steampunk and the Macabre worlds, and do it in a very good manner. I strongly urge all who see this to go pay his website a visit. The link can be found on the thumbnail to http://www.alexcf.com. Yes, as a purveyour of the macabre I bring you this insanity. I find it strangely artistic, and deserving of amazement and approval. In a dark way these pieces are some of the most beautiful things I have ever seen. The link to Lisa Black's portfolio can be found clicking on the thumbnail. I hope you find it as pleasing as I do. Where the various artworks of Professor Delphinius "J.C." Tucker are displayed. Both original and acquired. Information about Steampunk and Macabre movies, and music, for all. Including reviews, links to Public Domain works, original pieces, and more. Where Professor Tucker's latest projects are showcased. Most of these are Works In Progress. Literary works, essays etc. Some written by Professor Tucker, some collected for your reading pleasure. Where information about the Conservatory can be found. Where essays, treatise, and other miscellaneous items are the main focus.